It’s no secret that we are huge fans of the crazy beautiful blankets and cushions made by Uimi and now we love Blanki by association. The same talented team in Melbourne have launched a new brand aimed specifically at kids and they are gorgeous in their own right. Blanki showcases a bold and bright range of knitted blankets and cushions that are made from the softest, breathable 100 per cent combed cotton for supreme cosiness and easier care. As an added bonus, they are more affordable too; yay! 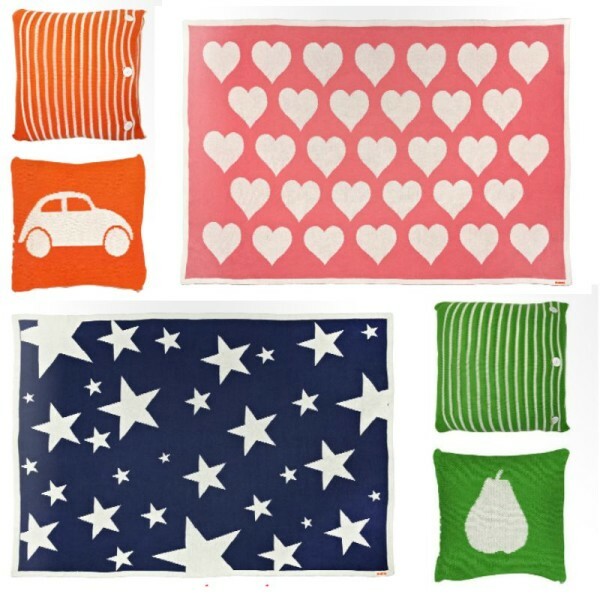 There are six different designs in the range, including stripes, cars, daisies, hearts, pears and stars. 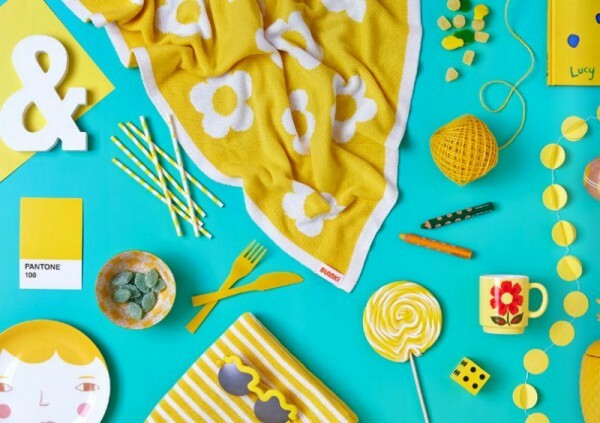 Available in indigo, canary yellow, grass green, tangerine and blossom pink, the colours are warm and inviting and will bring a burst of fun to any child’s room. The blankets come in three different sizes, each with a very reasonable price point: bassinet – 90cm x 100cm ($79), cot – 120cm x 100cm ($99) and single – 145cm x 190cm ($189). The cushions ($79) measure 40cm x 40cm and come with the insert included. Check out the whole range at Blanki’s brand new online shop where they ship throughout Australia and around the world. A host of retailers have already picked up the new brand so search Blanki’s list of stockists for a store near you. (Photo credit: Nikole Ramsay, Art Direction: Jacqui Moore).